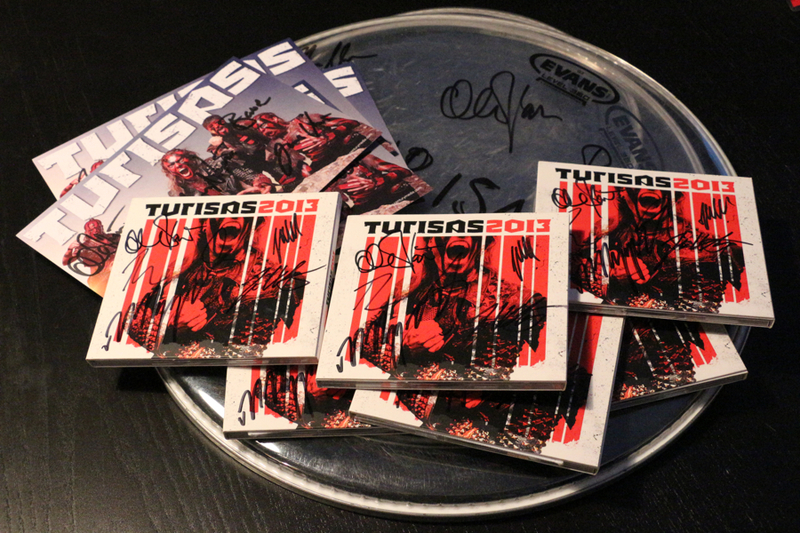 New tour merchandise items added to the official Turisas webshop! Pick up anything at the Official Turisas Store between 17 October and 17 November and your name will go into a draw to win one of many signed tour items! We are returning to the UK in October – get your tickets now! Two weeks ago we also launched a competition, the prize of which was VIP meet & greet tickets for the winners and their friends. The competition is now over and the lucky ones are Nat Davies & Clive Williams. We’ll send all the necessary information and details via email. Thanks to all the participants! Keep updated, follow @turisasofficial on YouTube and Twitter.